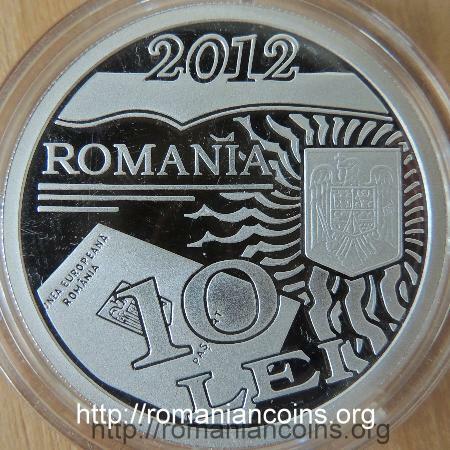 Obverse: year 2012, ROMANIA, coat of arms of Romania, face value "10 LEI", an image of a Romanian passport (probably the model issued in 2012) and an adornment from inside the passport Reverse: bust of king Carol I, under the bust, near the rim, inscription CAROL I, at left a Romanian passport issued during the reign of the king, a fragment from the "Legea asupra paspoartelor" (Law on Passports), above year 1912, inscription "100 ANI PRIMA LEGE MODERNA A PASAPOARTELOR" meaning "100 YEARS SINCE THE FIRST MODERN LAW ON PASSPORTS"
The coin was issued on 19th of March because in that day of the year 1912 the Law on Passports - "Legea asupra paspoartelor" - was promulgated, through a royal decree. In 2007 the 19th of March was declared as "Anniversary Day of the Romanian Passport". 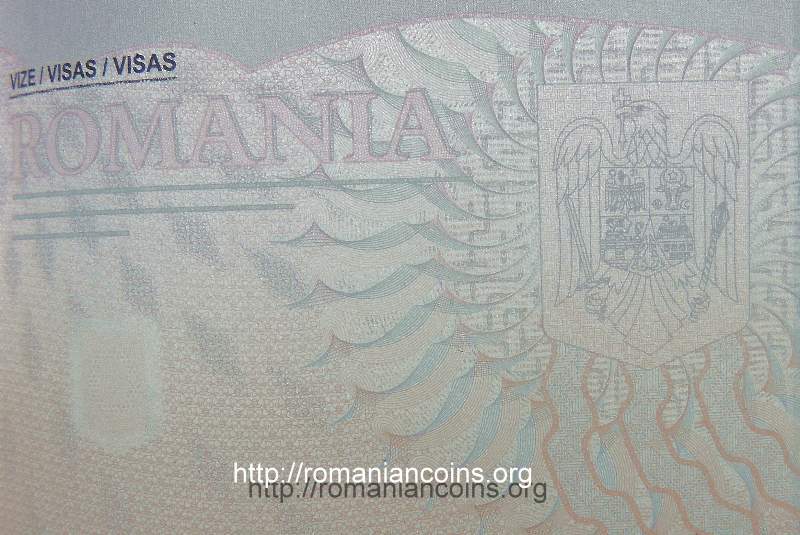 On the passport issued under Carol I the coat of arms of the Kingdom of Romania can be observed. The coat of arms separates the words of the inscription "REGATUL ROMÂNIEI" meaning "KINGDOM OF ROMANIA". 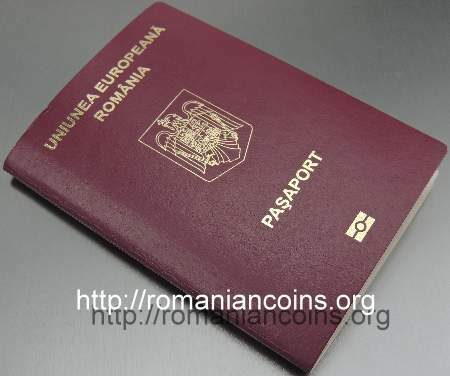 Below the inscription "PASPORT PENTRU STRĂINĂTATE" is placed meaning "PASSPORT FOR FOREIGN COUNTRIES". 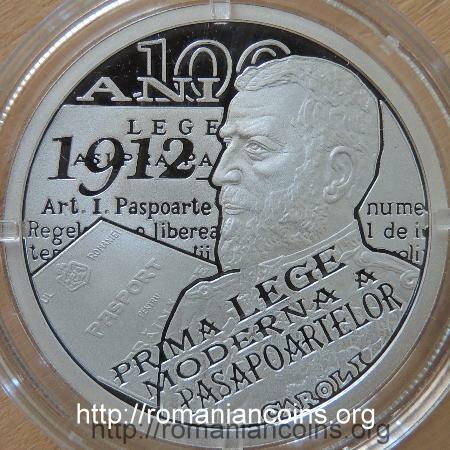 The first article of the law, partially appearing on the coin, has the following text: "Paspoartele se emit în numele Regelui şi se liberează de Ministerul de interne şi de prefecţii de judete şi de poliţie în condiţiunile ce se vor determina prin regulamentul de aplicare al acestei legi", meaning "The passports are issued in the name of the King and are released by the Ministry of Internal Affairs and by the prefects of the counties and by police in the conditions that will be determined by the implementing regulation of this law".